INDIANAPOLIS — The NCAA Division I Men’s Golf Committee announced today the 156 participants that will compete in the 2018 NCAA Division I Men’s Golf Championships. The top five teams and the top individual not on those teams from each of the six regional sites – Kissimmee, Florida; Raleigh, North Carolina; Columbus, Ohio; Norman, Oklahoma; Stockton, California, and Bryan, Texas have advanced to compete at the finals which will be held May 25-30 at Karsten Creek Golf Club in Stillwater, Oklahoma. The championships are being hosted by Oklahoma State University. Finals play consists of three days of stroke play on Friday, May 25 through Sunday, May 27 (54 holes), after which the top 15 teams and nine individuals not on an advancing team will be determined. That is followed by a final day of 18 holes of stroke play on Monday, May 28 to determine the top eight teams that will advance to match play as well as the 72-hole individual champion. 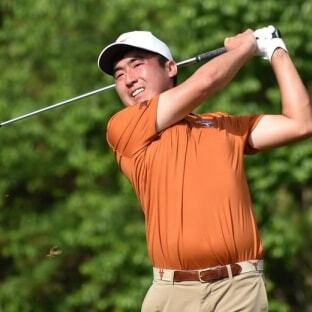 The team national champion will be determined by a match-play format that will consist of quarterfinals and semifinals conducted on Tuesday, May 29, followed by finals on Wednesday, May 30. For 2018 championship ticket information visit http://orange.okstate.com/ncaagolf/#tickets or contact Clark Woodruff at clark.woodruff@okstate.edu or 405-744-5247. The 2017 NCAA Division I Men’s Golf Championships were held at Rich Harvest Farms, with Northern Illinois University serving as host. Oklahoma won the team title, defeating reigning national champion Oregon, 3-1-1 in the final round of match play competition. Braden Thornberry of Ole Miss claimed the individual title with a four-day total of 277, which was 11-under par.